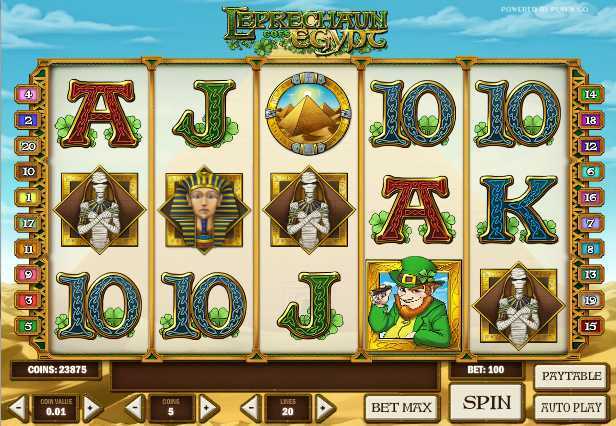 Unibet Casino :: Leprechaun goes Egypt video slot - PLAY NOW! Unibet is offering a new EXCLUSIVE game Leprechaun goes Egypt a 5 reel video slot combining two of the most popular slot themes. This fun new slot combines the pyramids with a bit of Irish luck and dares you to rescue Cleopatra! With an exciting bonus round that requires you to unlock the mystery doors and a unique free spins feature where you could hit a 12 time multiplier, you’ll love to win big on this high pay out game. Available to play only at Unibet and Maria!